Lahaye, D.J.P. (2001, December). 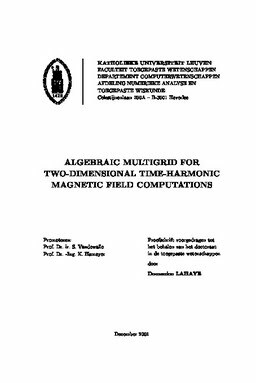 Algebraic Multigrid for Two-Dimensional Time-Harmonic Magnetic Field Computations.